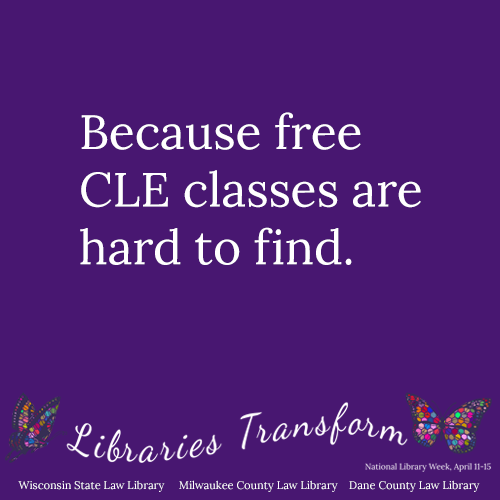 Don't forget to register for these three CLE classes in May! 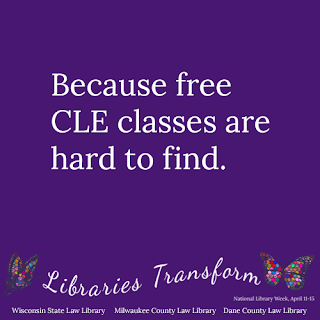 Thursday, May 4, Noon - 1 p.m.
Tuesday, May 16, Noon - 1 p.m. Learn how to best utilize Westlaw in this course by: Learning about advanced search and field searching on content category search pages; Harnessing the power of advanced annotation features such as highlighting and foldering; Incorporating Key Numbers and Key Number Searching into your research; Exploring headnotes and other editorial enhancements, such as notes of decisions and statutes index; Covering advanced options for Alerts and Automated searches; Utilizing advanced customization features for "Copy with Reference", Highlighted terms, Result list display, and Document Delivery; Learn how to access Westlaw from other devices. Wednesday, May 24, Noon - 1 p.m.
HeinOnline offers an extensive legal research collection, including law reviews, legal periodicals, federal regulations, congressional record, classic treaties and more. In this session, participants will learn about the new features offered from HeinOnline.